Rottenstein Law Group LLP is actively filing DePuy ASR lawsuits on behalf of those who have suffered metallosis, premature device failure, and other serious complications allegedly caused by the metal-on-metal hip devices recalled in 2010. New York, NY - October 23rd, 2013 - New Jersey Superior Court Judge Brian R. Martinotti signed an order on Oct. 17 that extends the discovery proceedings for DePuy ASR lawsuits remaining in the state’s consolidation of those cases to June 30, 2014. The Rottenstein Law Group LLP, a metal-on-metal hip implant law firm that is actively reporting on DePuy settlement news, notes that this will allow both the plaintiffs and DePuy to gather supporting evidence and identify expert witnesses. Martinotti said that the pretrial discovery proceeding was originally scheduled to conclude at the end of 2013, according to the order. Further discussions on the matter will continue at a Nov. 21 case management conference. In related news, the court recently deemed a case “resolved” and removed it from the trial calendar. There is also another possibility, Rottenstein said. The Bloomberg article that first reported on the possible DePuy mass settlement indicated that J&J was awaiting the outcomes of a series of federal bellwether trials from September to January before making a settlement offer. Among the side effects alleged in the New Jersey lawsuits is metal poisoning, also known as “metallosis,” which occurs when the metal hip implant components rub against each other, according to the U.S. Food and Drug Administration. Small heavy metal ions can break off into a patient’s bloodstream and cause neurological problems and other side effects, the FDA said. In 2010 Johnson & Johnson recalled 93,000 metal-on-metal hip implants worldwide, about 33,000 of those in the United States. 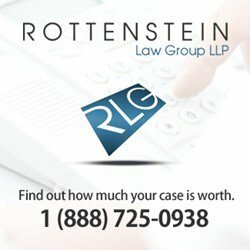 The Rottenstein Law Group LLP encourages those who believe they have suffered from the ASR’s alleged side effects to visit the firm’s DePuy settlements FAQ page to learn more about ASR settlements and side effects, and how to contact an attorney for a free consultation. Halloween Scares for All, A Pet Costume Contest, News & More in October 19th's Newsletter! Subject: LongIsland.com - Your Name sent you Article details of "DePuy ASR Lawsuit News: Pretrial Proceedings in New Jersey Court Extended Into 2014"